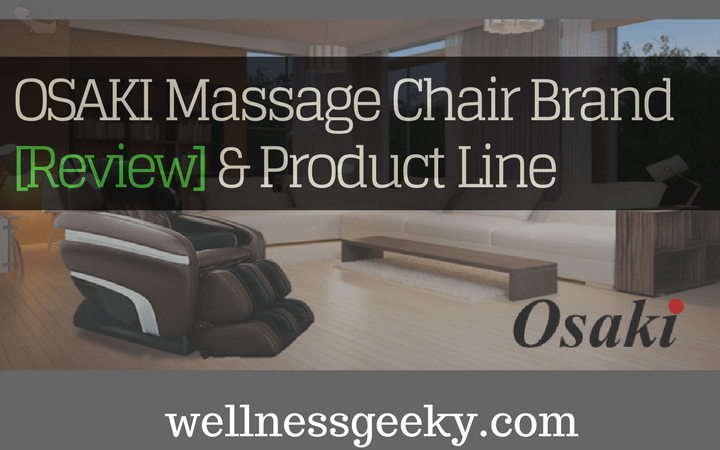 Whether you're looking for an in-home massage chair for stress reduction, pain relief, and wellness, or considering adding one or more to your business for increased revenue, Osaki is a leader in the industry. 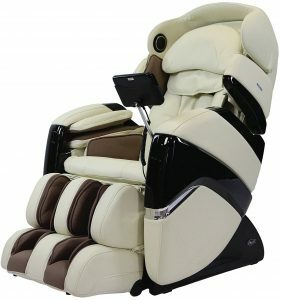 Osaki designs and distributes high-quality fitness and wellness products, most notably massage chairs. Company is committed to top-notch customer service and satisfaction and does everything in their power to maintain and grow their loyal customer base without sacrificing service, maintenance, or commitment to their products. 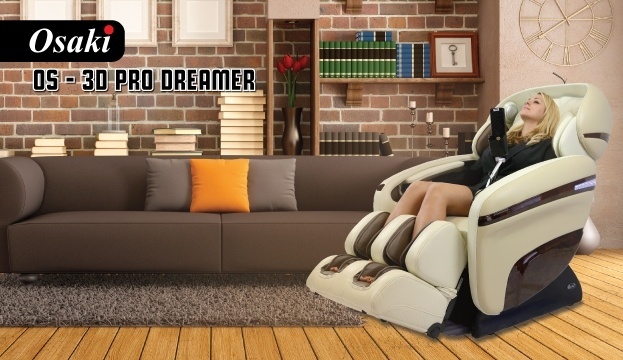 They make a wide range of massage chairs, from all around basic to high-end. They feature space-saving models, designed to take up zero wall space, and feature luxury chairs for businesses like movie theaters and day spas. 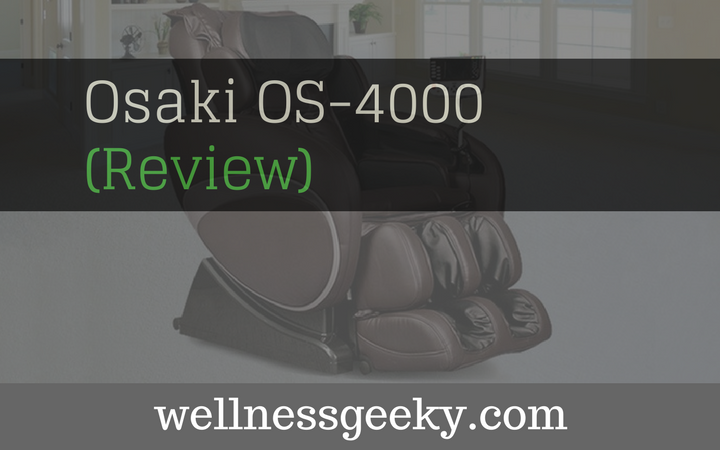 One of Osaki's best selling chairs, for a good reason, is the OS 3D Pro Cyber. It repeatedly ranks best in class and falls high on reviewers' top picks year after year. You get high-end whole-body comfort and a host of features that continue to impress. The zero gravity positioning and advanced body scanning technology deliver comfort, relieve the stress on your joints, and soothe your muscles. From high intensity to gentle, the massage features are designed to accommodate your body's specific needs. 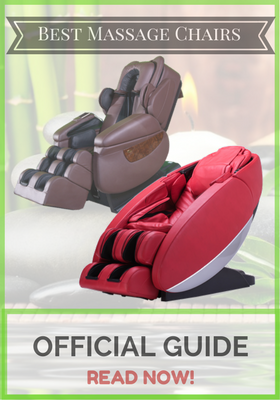 While packed with features, like arm and hand, calf and foot, and lumbar, hip, and shoulder massage; dual foot rollers, auto recline, leg extension, and acupoint technology, here are a few standouts. This sounds like a feature right out of NASA, and it kind of is. Zero gravity positioning refers to the tilting position of the chair that takes all the weight off of your muscles, joints, and bones so that your body is fully supported and able to de-stress. Taking the stress off your joints and aligning your hips, legs, and back allows your body to decompress so that the massage can take effect. Body scan technology is designed to trace the curvature of your spine, and this chair utilizes the latest. The advanced computer body scanning adapts to your exact spine configuration, which then enables the rollers to target the precise areas of your back that need the hard work. The result is a lessening of tension and the ability for your back muscles to completely relax, mirroring an actual massage from a professional masseuse. Air bag technology is based on compression, and the OS 3D Pro Cyber utilizes 36 of them. It's not a matter of how many air bags a chair has that makes or breaks the output and quality of the massage, but how hard each airbag works. In this chair, Osaki has mastered the efficiency and efficacy of each airbag, increasing with each the volume and surface area. This technology is part of what makes the OS 3D Pro Cyber particularly good for circulation. If there's one thing that kills a massage, it's lighting that makes you feel like you're in the dentist's chair. Once again, Osaki comes to the rescue with this feature-packed chair, so you don't have to wear a mask when you're trying to decompress. It's fitted with adjustable LED lights so you can adjust them to fit best whatever your mood. The LED bulbs have a more relaxed quality of light and are placed behind Plexiglas, so they're only visible when you turn them on. In a dark room, the LED light casts a soft blue light into the room for maximum relaxation. We all know those less than ideal massage chairs at the airport or shopping mall that, rather than leaving you feeling destressed and relaxed, leave you feeling more like you just got sucker punched in the back. The problem with these low-quality chairs is the roller technology. 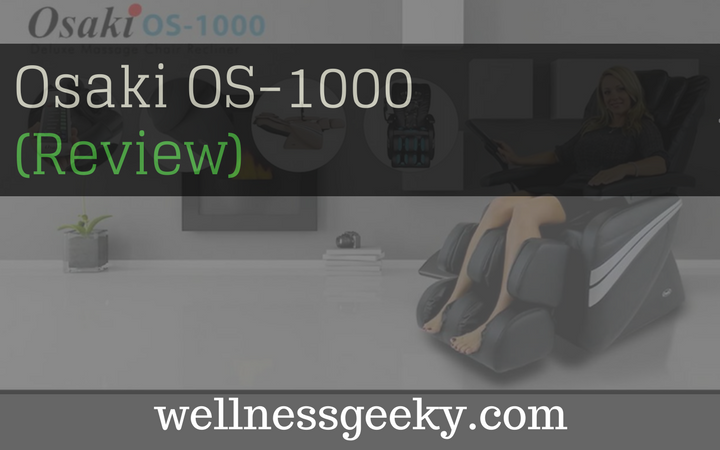 In the OS 3D Pro Cyber, Osaki utilizes the latest massage roller technology, designed to deliver flexibility and real deep tissue massage via a range of the rollers. In this chair, the rollers can extend a little over three inches, which penetrates your muscles, mirroring what a masseuse does in deep tissue massage. 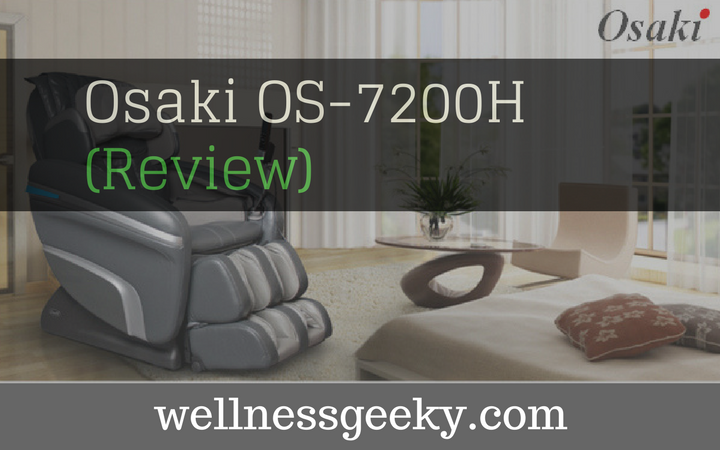 Osaki has built in two heated pads in the lumbar section of the chair, targeting lower back, which is a trouble spot for many. The heat relieves pain by loosening tight muscles and easing the strain that comes with it. Many massage chairs offer remote controls, but you often can't figure out what the buttons mean, and the surprises aren't always good ones. The Osaki 3D Pro Cyber comes with a fully equipped five-inch, intuitive viewing screen, displaying very clearly which modes are active. And you can use the remote to manually change settings type of massage, speed, intensity, etc. The Osaki OS-3D Cyber Pro comes with a three-year warranty, which covers parts and labor. This means that should anything mechanical bread or malfunction; you're covered. If you're just tough on your furniture, take note that you're on your own for wear and tear. Keep your receipt and original packaging, as you'll need it if you need to file a claim. Once you show you bought it, though, if something's broken or not working correctly, Osaki will fix it. I doubt I'll need the warranty, but its always nice to have, especially with something with so many moving parts to it. This chair has a large variety of adjustments to meet my needs. Different types of massage, trigger points, and levels of intensity. So, should you buy this chair? There are a lot of models out there, and doing all the research alone will make you wish you had one. But here's the thing. This is a solid choice. Is it spendy? A little. Is it worth it? Absolutely. With Osaki's staunch commitment to quality and customer service, the high-tech features of the chair, and the warranty, you can't go wrong with this. It delivers many dividends and will save you who knows how many trips to the doctor throughout your life. So, at the end of the day, it'll probably save you money. And your body and mind are worth it.